The relaxing sound of the water. A cosy cabin just for you and your significant other. Ah, romantic weekend breaks. Perfect. We’ve posted about Valentine’s ideas but any time of year is good for romantic weekend breaks. 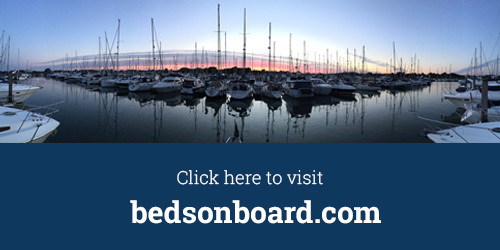 One of our most popular requests at bedsonboard.com is for stays on boats for romantic celebrations. Wedding anniversaries, proposals and of course as a unique Valentine’s Day gift. We’ve even had guests celebrate their wedding night on a boat! Why stay on a boat for romantic breaks? First of all, romantic breaks on board a boat are unique experiences. You can escape the usual routine and give yourself time to rebalance and revitalise. They are cosy & intimate times. Reconnect with each other. Time and space are just for you. Retreat to your cosy cabin where you’ll find everything you need for a blissful, romantic break away from the distractions of everyday life. We call it another way to stay. Boats are in great locations. It could be in the heart of the city or away from it all. So whether it’s bright lights or rural retreats, it’s your choice. Discover stunning scenery, just waiting to be explored. Uncover the history and culture of a city, far away from your daily routine. Enjoy authentic local delicacies and fine wines in nearby restaurants or take your pick of the best regional produce to serve on board for two. There’s a definite wow factor so when it comes to impressing your partner you can enjoy a slice of laid back luxury. And get the rewards for such a great idea! Finally, there’s also the fact that you could get all this and save money as many of our boats are less than a hotel room. Has this given you some inspiration for romantic weekend breaks? If it has, head to our romantic breaks page right now and book your lucky loved one a weekend break they’ll remember forever. And so earn yourself some serious brownie points.